It is always a pleasure to hang out with the gorgeous Jessica Mauboy and we were so exciting to chat to the singer over her new video for This Ain't Love and her new fragrance Be Beautiful. 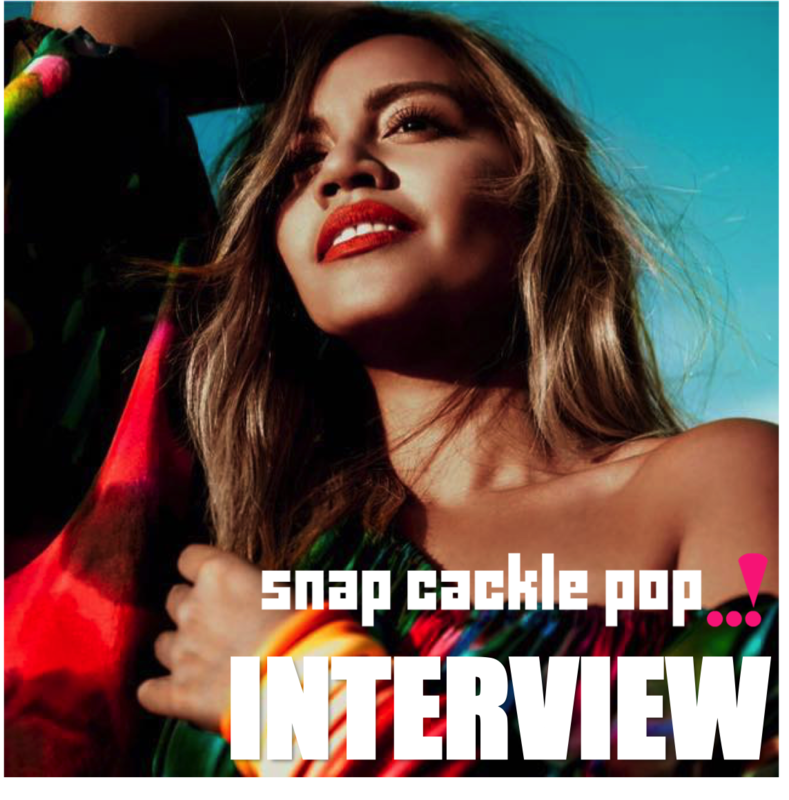 Full of laughs and chit chats, its the SnapCacklePop interview with Jessica Mauboy..! 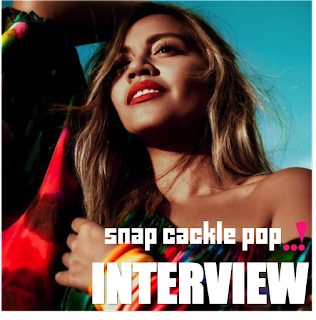 So Jessica Mauboy once again welcome back to SnapCacklePop, how was your weekend? Well today is a big day, isn't a certain video dropping today? Yes, a very big day. We have been working on this new video for the new single This Ain't Love for over the last month. I worked with director Guy Franklin and his partner John who did the digital work, the magic tricks within it and was so much fun have the five Jessica Mauboy's on the clip. Are they the multiple personalities of Jessica? [Laugh] Yes kind of, it has just been fun to do something different. So lets quickly talk about the track for a moment. Its epic, uplifting and that chorus is very Drum and Bass? It is very drum and bass. I wanted that anthem kind of sound and a massive influence from the 90s. That whole La Bouche and Sonique vibe, that I grew up listening too, having older siblings, they influenced me over music of that time. It reminds you of such powerful music and music that just touches you. I worked on the track with David Snedden & Carl Ryden who I had never worked with before. How did you find working with them? I knew of their work, so it was really nice to enter into their world and for me to bring a piece of my world to them. It just moulded so well together. It was great to bring this track to life with these two guys. So talk to us more about the video and the five different Jessica's, are you a Gemini? So do these alter egos have names? And you have worked with Apple Music on this video release? Yes we have given Apple Music the exclusive for the track, which has been so amazing and great support. Such a big deal in the online world. Do you think its crazy how social media has changed how music has digested? Well in my nearly 10 years since really starting to sing, times have changed massively. The social influence is just the norm now, however I still love signing CD's. I have just done a massive tour of Westfield's and other major shopping centres and was great to meet fans one to one and connect with them. However I really love the reach of all these social media channels and adopting new ways to reach my fans. So let's talk quickly over your new fragrance, Be Beautiful? You look so excited about it? I really am, as its been a long time in the making. Honestly, its been a work in the progress over two years. Last year was more about my music and now I had a window to work on this fragrance to put this out there. I was really hands on for over a year. The first session was meeting the professional "sellers" called Erika More from Fragrances of the World, the leading company in the world and I'm their very first Australia artist to work with. I wanted to go in with a solid movement and smell that was really me. It was really strange as I was given homework and was running round my house finding smells that really represented me and who I am. I kept finding things like cucumber and pineapple that I rubbed onto paper and put in zipper bags, then arrived at my next session with the company with an massive bag of smells. [Laughs] When I met Erika again, there was a look of shock on her face when I presented all these samples and I felt so embarrassed, however Erika just smiled and said this was exactly what we needed to do. I was like a pro without knowing it. I am a very visual person and this is how I saw my fragrance and that is how it has turned out. I'm very happy with how it all worked out, it reminds me of home. You guys are awesome, so handsome and such great fun guys. Aww thanks Jess, we love you..! Jessica Mauboy's new track This Ain't Love is available on iTunes now..!